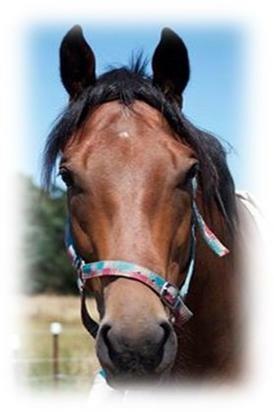 ANACHEEVA (AUS) (Bay 2007-Stud 2012). Top of 2010-11 Australasian 3YO Classification (Mile). 4 wins-1 at 2-from 1200m to 1600m, A$969,275, MRC Caulfield Guineas, Gr.1, Caulfield Guineas Prelude, Gr.3, MVRC Essendon Nissan S., L, 3d ATC Australian Derby, Gr.1, 4th AJC Champagne S., Gr.1. Brother to SW Headturner (Australian Derby, Gr.1). Half-brother to SW Kroner (STC Premiere S., Gr.2). Sire of Segovia, Nacho Libre, Scappare, The Housemaid, etc. His oldest progeny are 3YOs. BATTLEFIELD (g. by Choisir). 5 wins to 1200m, A$203,050, BRC Ascot H., L, Clarence River JC Ramornie H., L, Qld Tatt's RC Hardy Brothers Jewellers H., AJC Coronation Day H.
Ever More (g. by Geiger Counter). 4 wins-2 at 2-at 1000m, HK$3,226,450, HKJC Murray P., Pat Sin Leng H., Australia H., Cricket Club Valley S., 2d HKJC John Peel H., Ho Man Tin H., Camellia H., Douglas H., Cathay Pacific the Wing Sha Tin H., Central H., 3d HKJC Argyle H., Tai Tam P., Purves Quaich H., Cherry H.
Battle Queen (f. by Choisir). Winner at 900m in Aust. Bohumil (g. by Amadeus Wolf). Placed at 3 in Aust. Very Choosy. 3 wins to 1200m in 2015-16, MVRC Jeep 55 Second Challenge Heat H., 3d VRC Lanec Services H., MVRC MSC Signs H.
Stole the Show. Winner at 2 in 2015-16, 2d BRC Brandons Electrical 2YO P., Sky Thoroughbred Central H.
Va Va Voom. 4 wins at 1000m, 1200m to 2016-17 in Aust. The Look of Love. 3 wins-1 at 2-at 1000m, 1100m, SAJC AV Jenning 2YO P., 4th SAJC Pewsey Vale S., L. Producer. Chepstow. Winner at 1400m in 2015-16 in Aust. Answer to a Prayer. Winner at 1200m in Aust. KHAPTINGLY (Bletchingly). 5 wins to 1200m, A$561,905, VATC Oakleigh P., Gr.1, VRC Standish H., Gr.3, SAJC KPMG Peat Marwick H., VATC Geoff Murphy H., Devonshire H., 2d VRC Salinger S., Gr.1, SAJC Goodwood H., Gr.1, QTC Qantas Cup, Gr.2-twice, SAJC Angas Brut Classic S., Gr.2, STC Concorde S., L, Newcastle JC Cameron H., L, 3d MVRC Australia S., Gr.1, QTC Stradbroke H., Gr.1, 4th VRC Salinger S., Gr.1, Linlithgow S., Gr.2. KHAPTRIST (Sir Tristram). 3 wins at 1100m, 1500m, SAJC KPMG S., L, Australian Major Events P., 2d SAJC Lanes H. Producer. STIMULUS (Bletchingly). 5 wins-1 at 2-at 1100m, 1200m, A$118,360, VRC Australian Airlines Flying H., L, AJC Coke is It H., STC Colyton Welter H., Prospect Welter H., AJC Leslie G Rouse H., 2d NSW Tatt's RC Carrington S., L, STC Capital Parkroyal H., 3d VRC Schweppes Welter H., STC Tollgate Hotel H., Camperdown Welter H., 4th VRC Hilton on the Park S., Gr.3, NSW Tatt's RC Roman Consul S., Gr.3. Sire. SPITZ (Danehill). 2 wins-1 at 2-at 1100m, 1600m, A$98,600, VATC Veuve Clicquot S., L, MVRC Adrian Swan Quality H.
SPANISH BAY (Nadeem). 7 wins at 1200m, 1400m, S$730,909, to 2016, Singapore 3YO Classic, Sgp-2, Singapore TC Saas Fee S., Sgp-3, Kranji A S., Panasonic Cooperation S., Dubai Racing Club Trophy Initiation P., Generosity Graduation S., Que Expresion S., 2d Singapore TC Benchmark 89 H., Kranji A S.-3 times, Ace Aliado S., Class 4 H., 3d Singapore Guineas, Sgp-1, Singapore TC Jumbo Jet Trophy, Sgp-3, Kranji A S., Benchmark 83 H., 4th Singapore 3YO Sprint, Sgp-3, Singapore TC Saas Fee S., Sgp-3.